Lucia began coaching at Gold Star in the summer of 2016, but started her gymnastics training at a neighboring club. 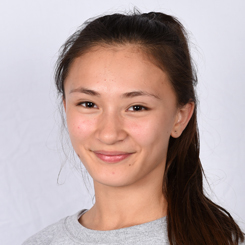 She came to GSG as an already accomplished gymnast, joining our Optional Girls Artistic Team in 2015 and competing through Level 9. Adding to her list of talents is playing the guitar and writing songs.